I took this photo in Guangzhou, China at the People's Park. We were walking around the outside of the park, looking for the entrance, when I looked down and saw a fitness area where several seniors were exercising. I had only moments to react, as the man in this photo finished his exercise and moved away moments after I tripped my shutter. 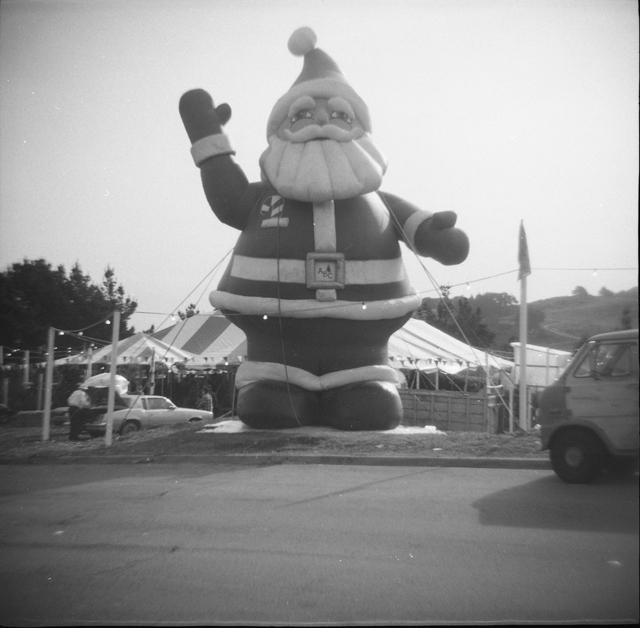 This was taken with a Holga 120N, using Tri-X film. On the trip, I uploaded an iPhone camera version of this image. This one was shot with the Holga 120N, on Tri-X, with the wide-angle accessory lens attached. The last couple of days we were in Beijing, we had a snow storm. While touring the Temple of Heaven, it was snowing pretty heavily, which was cold, but quite beautiful.